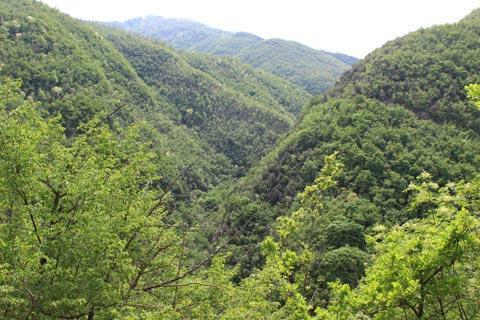 The little known region in northern Tuscany called the Garfagnana is a steep forested region that follows the valley of the river Serchio, with lovely quiet traditional villages and stunning scenery to enjoy. 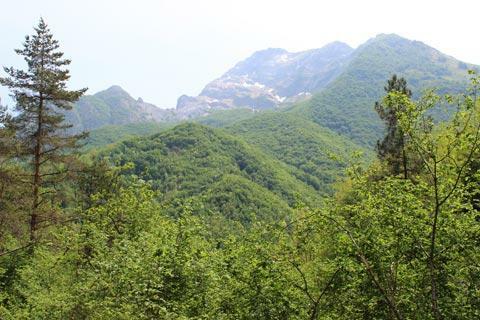 The Apuan Alps are to the west and the Apennines to the north. Italy This Way suggestion: spend two or three days in Garfagnana relaxing after you have spent time exploring Florence, Siena, Lucca and Pisa to make you sure you go home relaxed after your Tuscany visit! With the Parco dell'Orecchiella to the north and the Apuan alps to the west it is never difficult to access beautiful countryside. 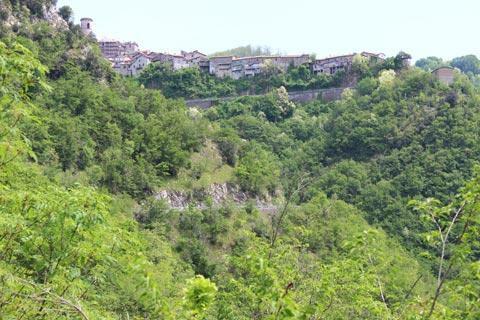 Barga is an excellent place to spend a night or two while you are exploring. 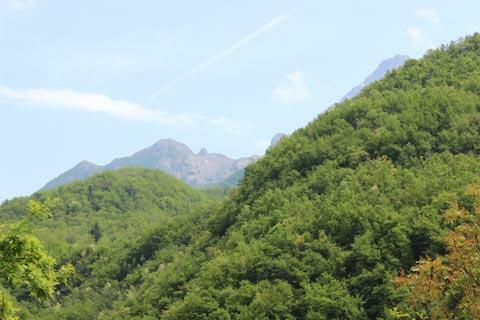 It is easy to explore the Garfagnana since there is essentially one road (the S445) that follows the river and passes through or near the principal highlights while side roads and tracks lead you into the chestnut covered mountains. The further you get into the mountains the more impressive the scenery becomes so allow time to explore these remote side routes. We also recommend you find the time to follow one or two of the trails through the countryside to better appreciate it - despite the terrain there are hiking trails to suit all levels of ability and enthusiasm. One of the best loved trails here is to the summit of Mount Sumbra, from where you have exceptional views across the surrounding mountains. Take the road south-west of Castelnuovo that leads through Cerretoli, Stazzana and Vianova then at the end of the road take the trail that leads up the mountain, firstly through the forest then later in the open. Proper walking equipment and a tolerance for heights both very useful! the road south-west from Gallicano which takes you into the mountains and also to the extensive cave system at Grotta del Vento with several large 'rooms' of stalactites and stalagmites to discover, with a detour to see the small village of Trassilico with its fortress and roman style church. The most important towns in the region are Barga and Castelnuovo di Garfagnana, with Bagni di Lucca to the south and the towns of San Romano and Castiglione towards the north. The historic centres of both Barga and Castelnuovo di Garfagnana are a pleasure to explore - Barga in particular is a very lovely hill town with steep alleys leading passed ancient houses to reach impressive views from the cathedral terrace. 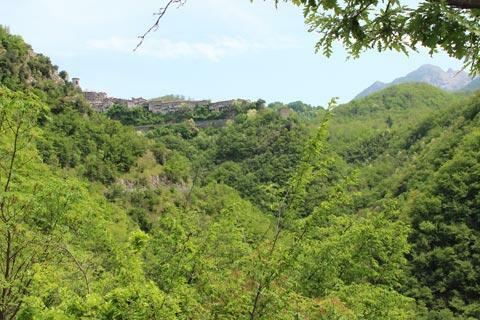 Particular villages in Garfagnana that are popular with visitors, as well as Barga and Castelnuovo, include Fornovolasco (a traditional village well placed for exploring and hiking near Monte Forato) and Molazzana (overlooked by a small fortress). As you explore be sure to stop and explore some of the many small villages, churches and hamlets that you see tucked away in the hills, such as the ancient churches in Coreglia Anteminelli. The most famous monument in the valley is perhaps the steeply humpbacked Devils Bridge in Borgo a Mozzano near Bagni di Lucca. Other favourites include the Fortress of Verrucole near San Romano Garfagnana to the north and the Calomini Hermitage near Molazzana further south, among others. 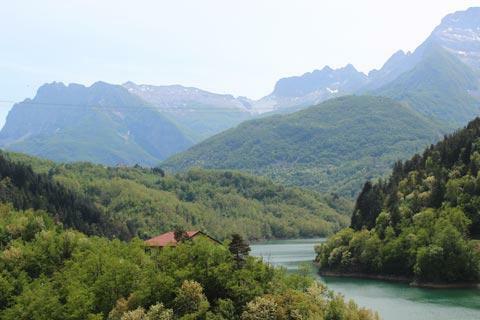 Just outside the Garfagnana region there is also much to discover. Outdoor enthusiasts will want to explore the mountain scenery of the Orecchiella Park and the Apuan Alps, while others might like to see the famous marble quarries of Carrara to the west where Michelangelo and many other artists got the marble for their sculptures. To the south of course you have the towns and cities such as Lucca, Pisa and Florence all of which are an important part of any tour of Tuscany.